The director had three sacred principles in making this film, and they could be keys to Oscar success in February. 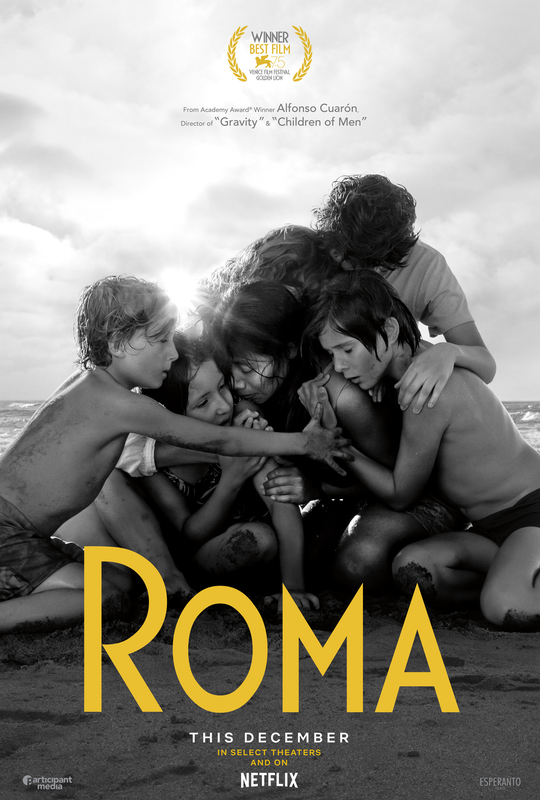 Now, after wowing audiences and critics on the international festival circuit, “Roma” is the first Netflix movie to not only be released online in 190 countries but to get a full-scale theatrical release. Whether that will boost its Oscar chances remains to be seen. 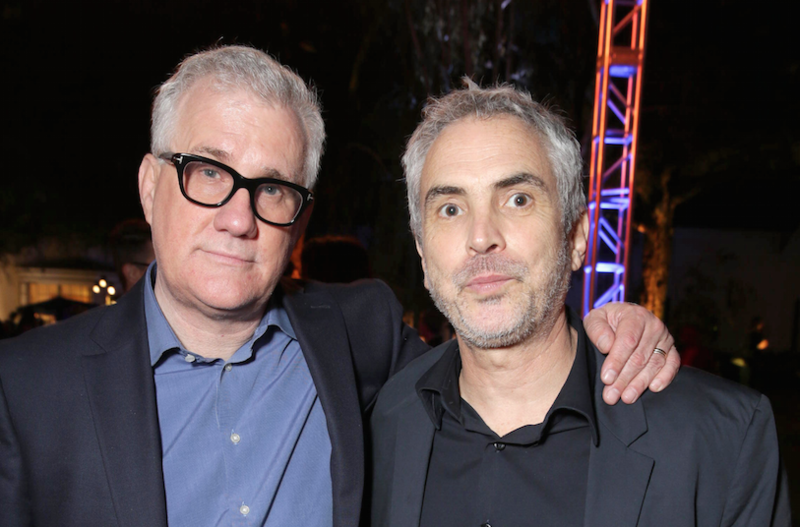 From the beginning, Cuarón and his go-to cinematographer Emmanuel (“Chivo”) Lubezki (Oscar-winner for “Birdman,” “The Revenant,” and “Gravity”), discussed three inviolate principles for the movie. The story wholly belongs to the real-life Cleo. Her experience shapes the movie. Memory writes the movie. The details that existed in the past become essential to the story. The film must be in black in white to tie it to the past, but use digital to bring its sensibility to the present. He hadn’t written the screenplay yet. During a year-long ramp-up to production, the film kept growing and the schedule ballooned to more than 110 shooting days. While Lubezki prepped for several weeks, the expanded timeline meant that his schedule couldn’t accommodate the film. As a result, Cuarón would wind up shooting the movie himself on two borrowed, untried Arri 65 mm Alexa cameras. To bring the sets and locations as close to the director’s memory as possible, Eugenio Caballero’s art department painstakingly recreated the Roma family home in an abandoned building, recovering some 70 percent of the family furniture, and placing objects in drawers that might never be on view. For that stunning opening shot with the airplane reflected in the soapy water sloshing on the garage floor, VFX artists painted in the silhouette of a perfect plane from the period. Part of the movie’s extraordinary immersive quality are the long takes combined with Dolby Atmos sound, which ripples and flows via multiple speakers around a theater, surrounding the audience. This elegiac recreation of Cuaron’s youth uses Dolby Atmos as its soundtrack (like Hitchcock’s “The Birds,” there is no score). But with only 23 Dolby Atmos cinemas stateside, most moviegoers will have to settle 7.1 or 5.1 Dolby sound. 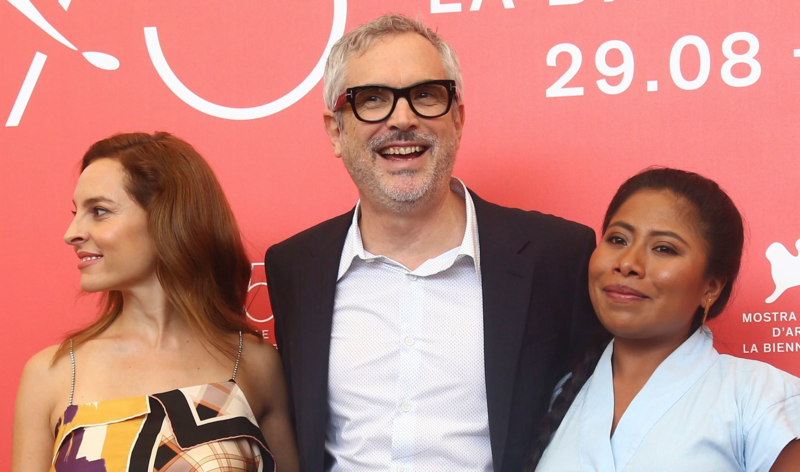 Marina de Tavira, Yalitza Aparicio, and Alfonso Cuaron. Along with a squadron of heavy-spending awards campaigners, a robust theatrical release can help boost a movie with Academy voters. As always, Netflix refuses to reveal box office numbers — but do Oscar voters care if it’s Netflix? In an informal poll, Academy voters ranged from passionate to noncommittal in their support for the film, and voiced a general appreciation for Netflix showing the film in cinemas. 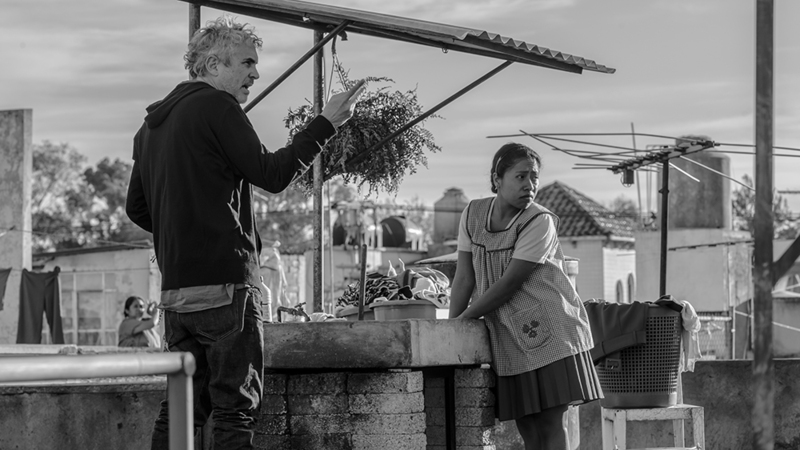 So far, “Roma” hits on all cylinders with critics, who will likely give it many prizes at year’s end. As a groundbreaking Best Picture contender, nominations for Director, Actress, Cinematography, Production Design, Original Screenplay, and Editing are in the cards.